Every other Thursday, we bring you Nicholas Day -- on cooking for children, and with children, and despite children. Also, occasionally, on top of. Today: Nicholas has come to terms with feeding his children this pizza for breakfast -- you should too. This is a story about Zen and pizza. It’s also about seasonal produce and whole wheat flour, but that comes later. Acceptance comes first. Two children later, I want to say: I understand now. And if you are tempted to serve pizza for breakfast and every other night, I am here to encourage you. There’s no better time to make pizza than the summer, especially when the weather catches its breath between heat waves. In the summer, you can throw almost anything on a pizza and be rewarded. Think of it as a way to show off the seasonal bounty. Think of it as a serving dish that you eat. 1) Channel your inner Thomas Merton: be ascetic. Do not covet. You want your spring onion pizza to sing of spring onions. Winter is the time for polyphonous pizzas. 2) Slice thinly. Mandoline-thin, if you have the mandoline. 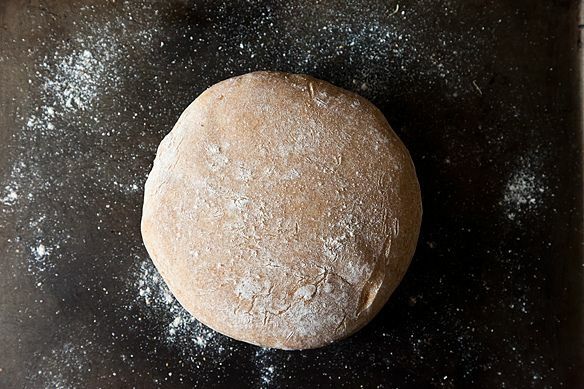 3) Make your crust half-whole wheat, at least. 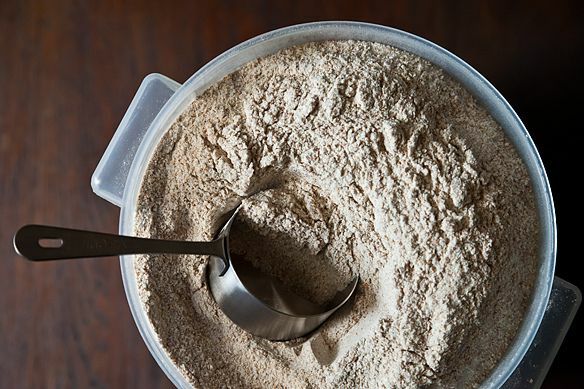 A lot of recipes with whole wheat flour include just enough for you not to notice it. This is the opposite. Here you need enough whole wheat flour to notice it. This is not the place to use tomatoes or mozzarella. A pizza margherita does not taste better with a backbone of earthy wheat. (A pizza margherita shouldn’t be on earth at all: it should float.) Think zucchini, potatoes, young onions. 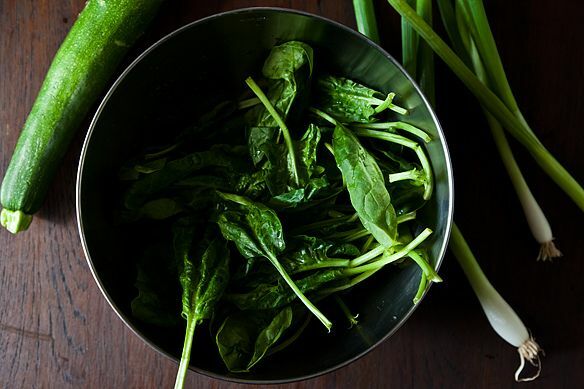 Think spinach—as Jim Lahey famously did with his Popeye pizza. Think vegetables with some heft. (And think fruit, if it can handle it: plums, say.) Mix with herbs, if they’d work. Toss the vegetables with oil or cheese, but don’t lacquer the top with it. 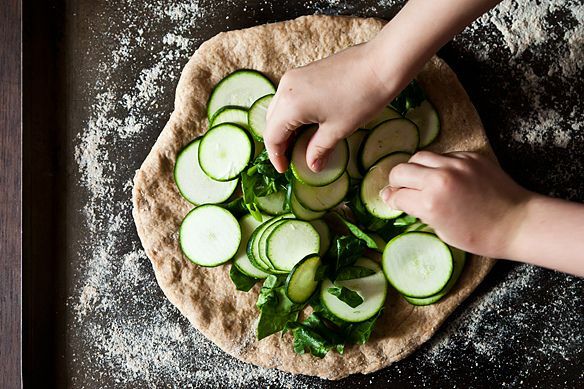 Will your child like this pizza as much as something with a paperweight of mozzarella? Maybe not tonight. But with time they’ll be eating it for breakfast. As the saying goes: if life gives you children, make pizza. Dough adapted from Maggie Glezer's Artisan Baking. Inspiration from Jim Lahey. I'm the author of a book on the science and history of infancy, Baby Meets World. My website is nicholasday.net; I tweet over at @nicksday. And if you need any good playdoh recipes, just ask. On a busy day when I have had no time at all to prep dinner I will pick up the whole grain dough at whole foods and have been trying to find a similar recipe for home. It is packed with grains and has a really nice chewy bite to it and is a really inexpensive meal. My daughter loves rolling it out for pizza or we make calzones and I can hide a variety of things inside that she might scoff at normally. And tonight we are actually having a nutella pizza for dessert with sliced banana "peperoni" and mint "basil." Any thoughts on freezing pizza dough? I made a huge batch of pizza dough awhile back with the idea that I could save some of it for later by freezing it. The pizza made with the fresh dough was fantastic, and the stuff made from the frozen dough was a flat, soggy mess. Is it possible to freeze pizza dough, or should I just stick to small batches of fresh? When I have frozen pizza dough in the past, I freeze it before the full rise has completed. It will depend on the recipe that you are using, but if it has a rise, punch down, and second rise, freeze them after the punch down. Then when I'm ready for pizza I'll put a ball of dough in the fridge that morning before work, or pull it out a few hours before I want to use it (after work for a later dinner or during the afternoon on a day off), and let it come to temp and rise before shaping, topping, and baking. Freezing can harm some of your yeasties so you could add a bit extra when you make the dough, but I like to let it thaw and have a long rise in the fridge all day while at work. I always freeze my pizza dough. I use the Jim Lahey recipe which makes enough for 2 large pizzas or 4 good size calzones. I thaw it in the fridge and it works beautifully. The best thing about pizza and kids is that it's so much fun to make together. I'll make up the dough and then my kids use it as play dough and shape pirate ships, sea monsters and the like (this works best with a slightly less moist dough than Lahey; I use a version of Hazan's with some whole wheat and corn meal). Then we let it rise and they love rolling it out and making their own pizzas with personalized toppings. I love this column and this post in particular. We try to do pizza (homemade) every friday - but I have yet to venture into whole wheat crust. And I have a ton of zucchini already - thanks in advance for our Friday meal tomorrow! Forget the kids...I'd be very happy to eat this for breakfast! It takes children.....Nicholas, it takes children. Though the first time I made whole wheat pizza, it was disaster personified because I used granary flour...but lets not go there. Now pizza in my home is a daily affair. Sometimes, I sweeten the dough and top it with citrus sugars to make a sweet French-style pizza called galette de Perouge. My kids love it for Sunday brunch - like you said, it takes children to be gutsy enough to risk being called bad parents, to serve pizza for Brekkie.